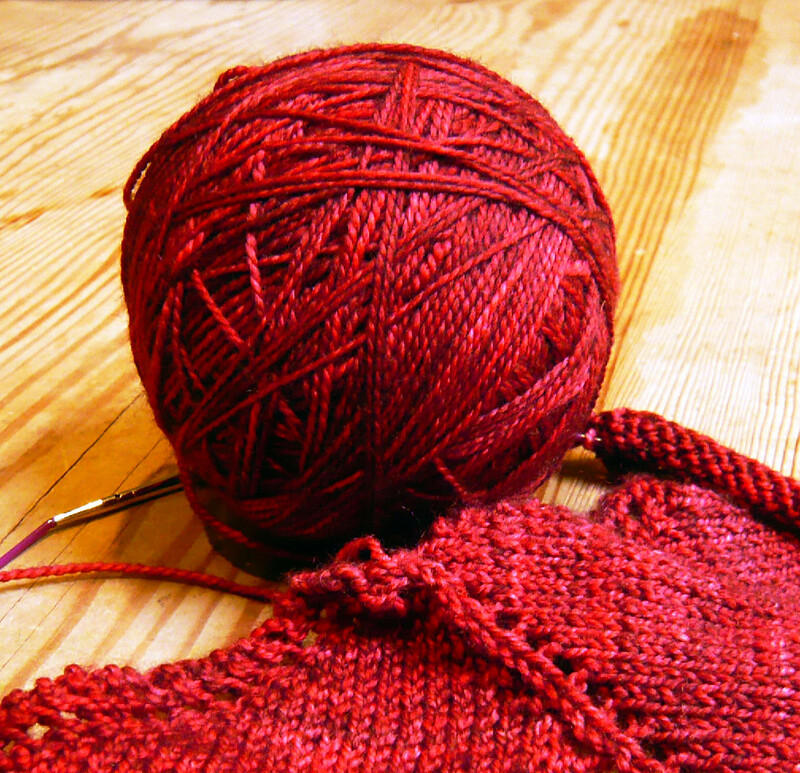 Milo is off the needles (I'll show you how it turned out soon) so, it's time to cast on something new, right? Right indeed. I'm trying to do a bit of stash busting (or stash grooming as the Knitmore Girls have recently renamed it, - and I rather like that) and have been reaching into my groaning shelves of yarn for new projects. My stash is desperate for some grooming, there are some balls of yarn buried deep down that have sat there for years. And I mean YEARS, like ten years! If I try to use stashed yarn where I can, I'll feel better about buying new when I don't have enough of something, or nothing that'll work ... that's the plan ... but, I get a bit antsy about plans, so we'll see how it goes! This ball of lusciousness hasn't actually been in my stash all that long, but I've been so excited about casting it on, so I did. Isn't it glorious?! It's Madelinetosh, my first skein of Tosh, ever. To be precise, it's Tosh Sock, 100% Merino, in the Tart colourway. I bought it at Loop earlier this year. Just one skein. And here's what I've been up to with it. It's the beginnings of an Oaklet Shawl by Megan Goodacre. For me. It's a free pattern and I've seen a couple of these shawls knit up lately, they've been really pretty. It's stockinette and yarn overs right down the "body" (is that what you'd call it?) and then a simple lace border along the bottom. I think it's just about the right amount of lace for me at the moment. I don't have any time of day when I can totally concentrate on complicated knitting. There's always some little person likely to interupt. So, for now at least, I'm sticking to knitting that I can pick up and put down. Knitting that won't turn into a mass of holes and dropped stitches when I have to quickly stop in the middle of a row to change a nappy, feed the baby, pick up a hurt little person, or sort out a squabble. I know it's just a phase, but oh my, some days I envy people who can just sit and knit and knit and knit! 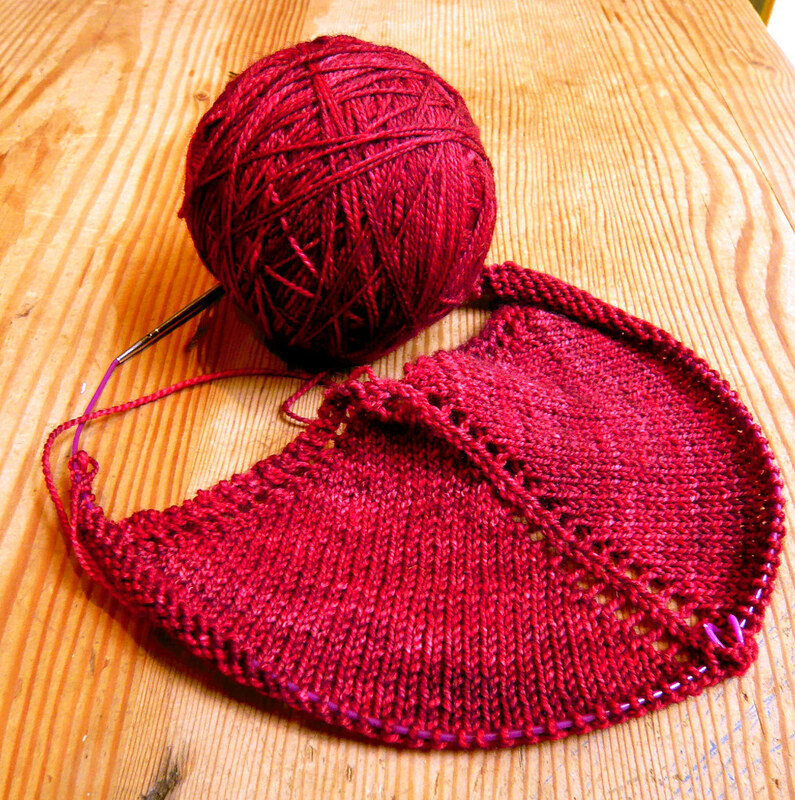 I'm knitting my shawl along with the lovely Evelyn at Project: Stash. She's knitting an Oaklet Shawl too. It might just be the two of us... perhaps you're knitting one too, or might like to cast one on? The more the merrier - come, join in! The other thing I wanted to tell you was about is the cool fibre craft magazine Entangled Magazine. Have you heard of it? I hadn't until just the other day. I don't know how I missed it before now, it's international, digital and it's fantastic. If you've read my blog before you'll know that I'm a bit nuts about knitting and craft books and I'm the same about magazines ... Anyhow, I had a read of the free preview issue and a couple of other articles in subsequent issues and loved it. You've got to take a peek. 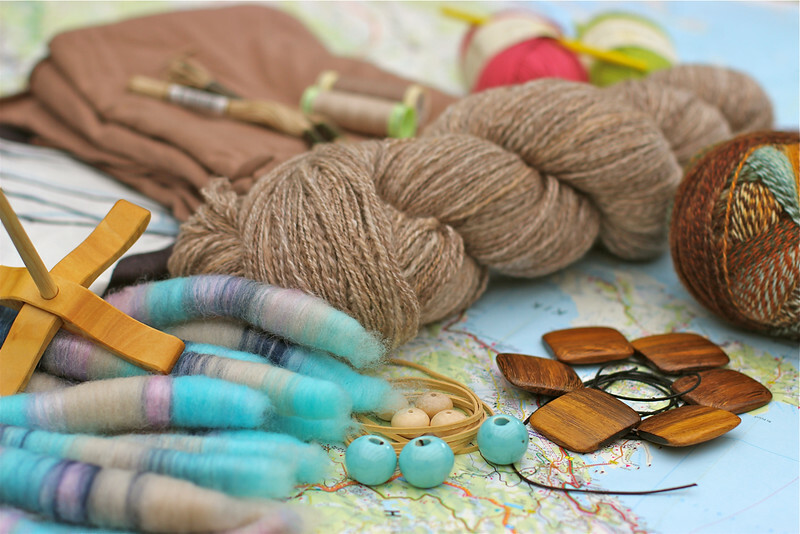 Instead of being another magazine full of knitting patterns, it focuses on all things fibre-related and is full of in-depth articles, personal stories and beautiful imagery from the fibre craft world. Yippee!!! I've read that Genny Stevens, the creator and Editor of Entangled, is on a mission to ensure that this magazine grows and sticks around for years to come. She's launched an indiegogo crowdfunder so that it's in the financial position to compete in the international market and has set a deadline three days from now to fund her "audacious growth plans". Check it out, the clock is ticking! There's a bunch of ways you can support Entangled and some great perks for doing so. Good luck Entangled!